January and 2014 started as it would end. 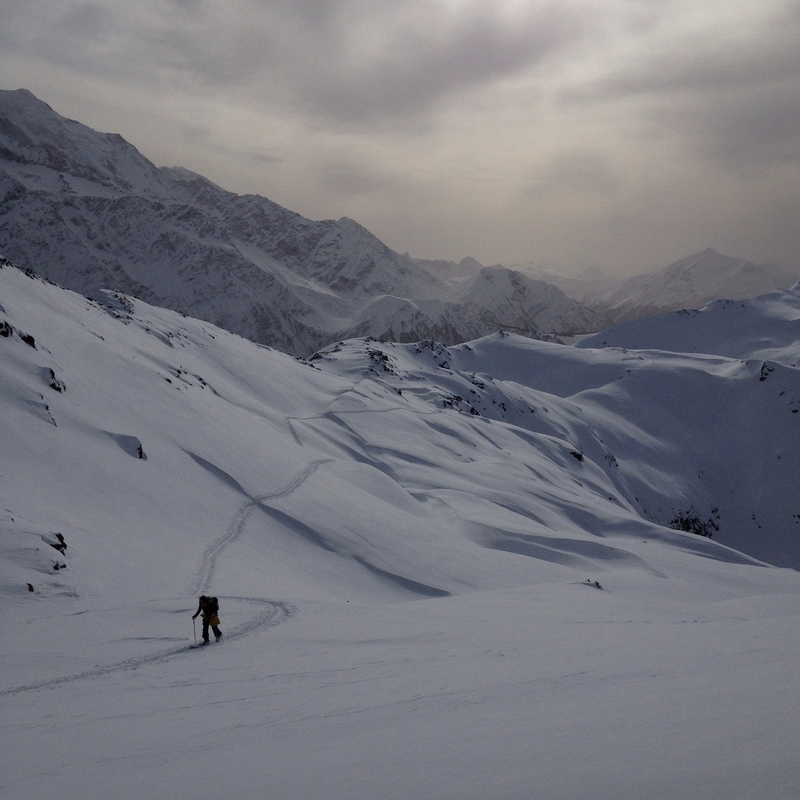 Skiing in the French off-piste paradise of La Grave (followed by some wild, mild trips up to Scotland). 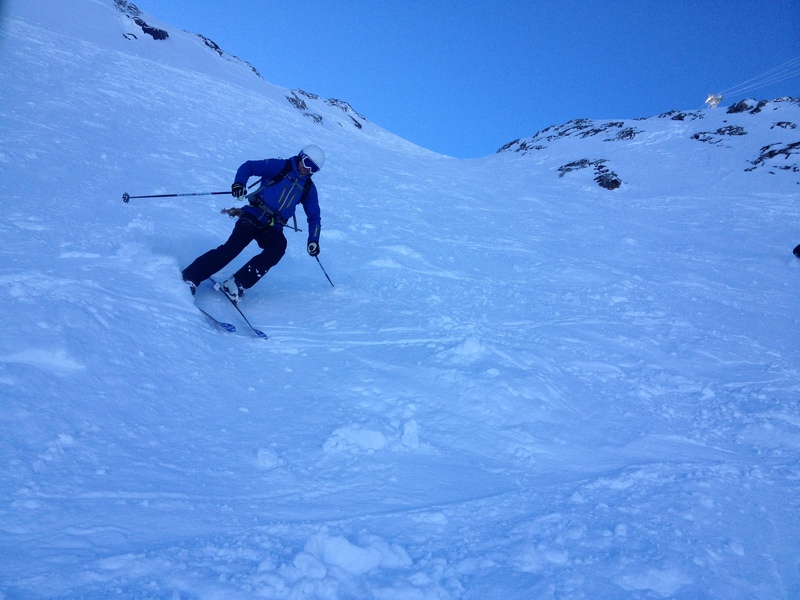 Bringing in 2014 in La Grave, Parky charges down the Vallons de Chancel. Another fine day in Scotland. 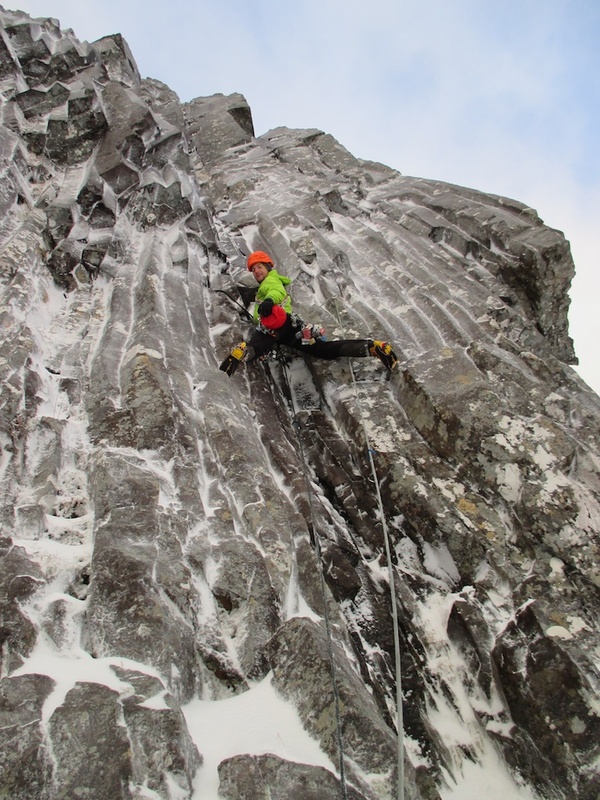 James Foley…sorry, Doctor James Foley, goes winter climbing! If your heart stops in Leeds, he may just be the man who sorts you out…. Nice snow! 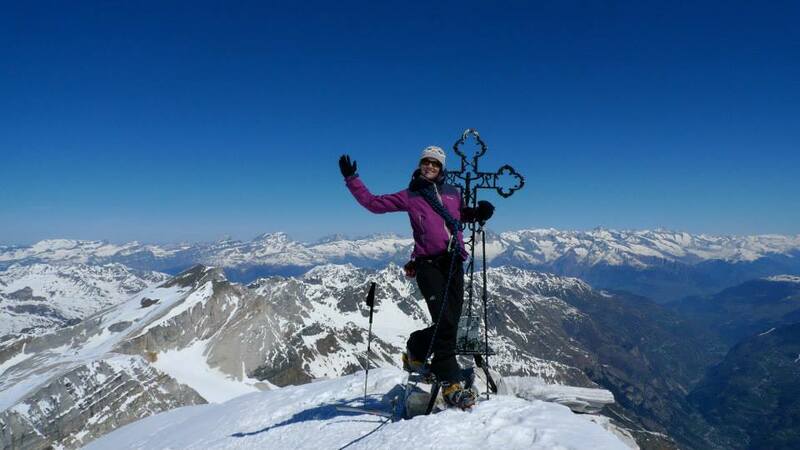 Kasia ski touring in the Aiguilles Rouges above Chamonix. I came to skiing pretty late but have really enjoyed putting the hours in over the last few seasons. I love touring around in the mountains, particularly when it’s quiet. March and the call came for the “Big One”, a dream since I started climbing, the North Face of the Eiger became a reality. 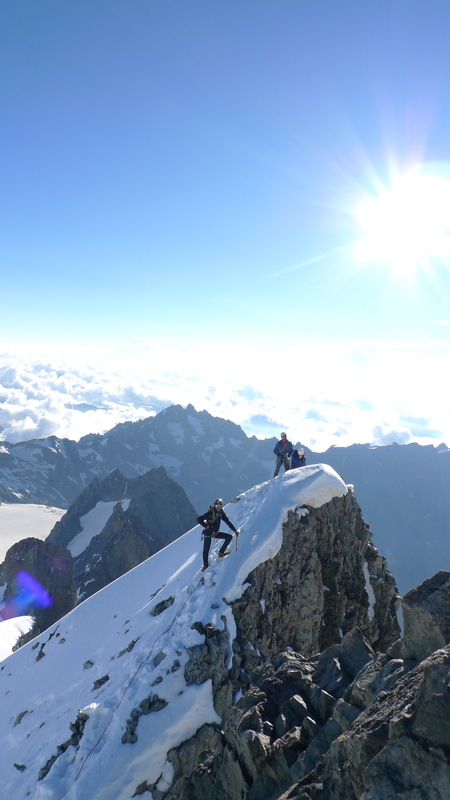 Stable weather, good conditions and not even the slightest hint of an epic, we felt incredibly spoilt to be allowed to ascend this ‘climb through the history books’. 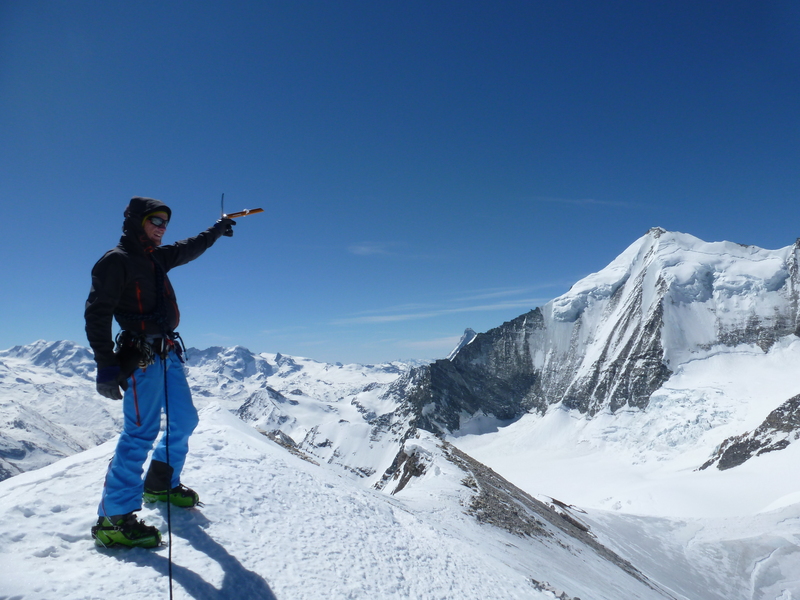 I felt pretty emotional on the summit and despite the fact that this is no longer that big a deal in the grand scheme of hard alpine climbing, it meant a lot to me as a rite of passage. Dave Sharpe was a super steady partner once again. 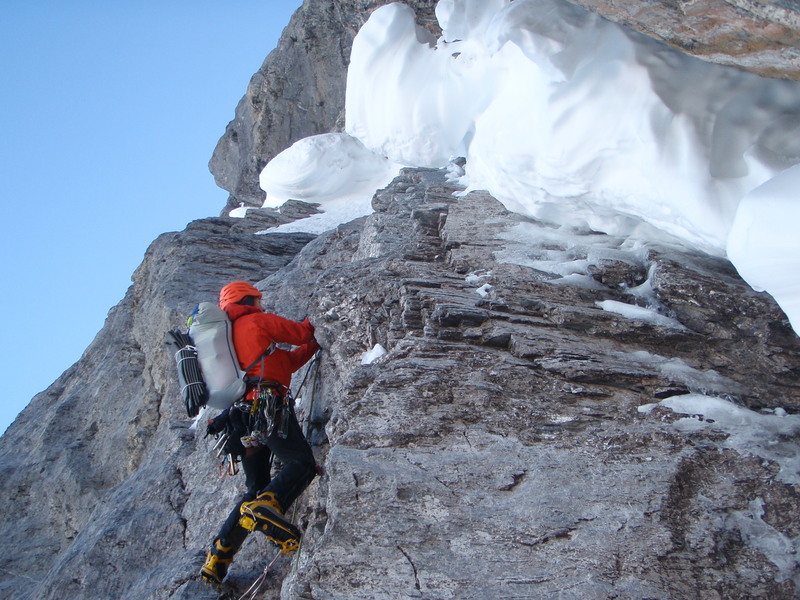 Dave Sharpe leading on the infamous Hinterstoisser Traverse on the 1938 Route, Eiger North Face. Although tamed by modern equipment, it was hard not to remember the terrible fate of Toni Kurz and his team on their ill fated attempt back in 1936. On the Waterfall Pitch, the probable crux of the route when we climbed it. Every step and every turn of this route felt like a mountaineering history lesson, an experience I’ll never forget. 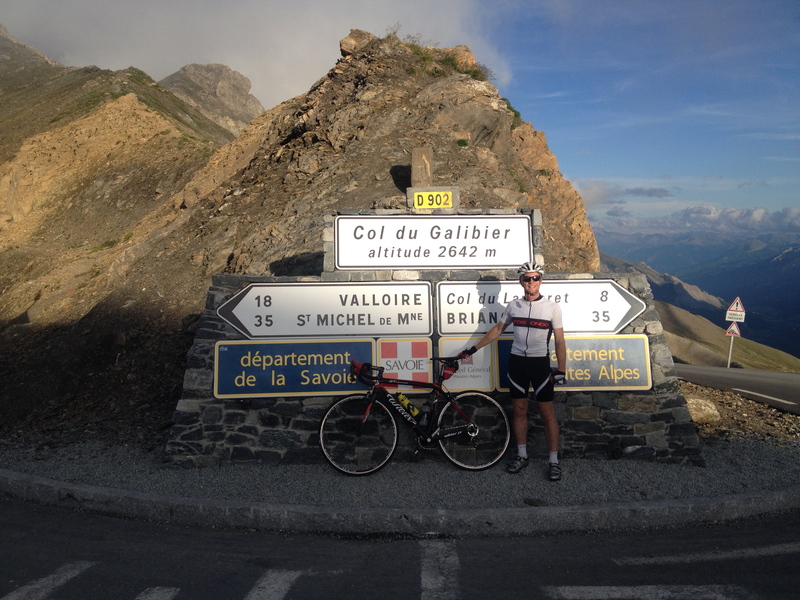 I spent a week shadowing Olly as he took a group of clients on the Haute Route. 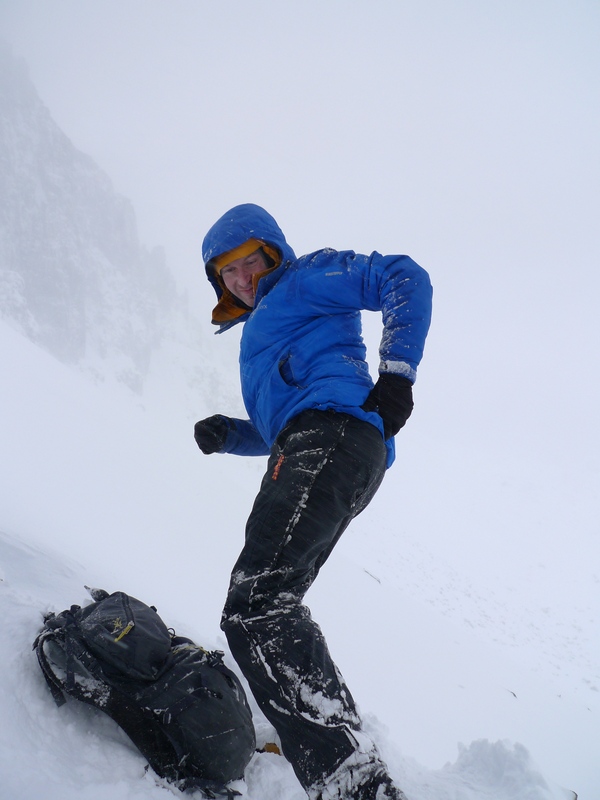 This was an awesome time with a load of great folk and a superb insight into what it was like working as a guide and looking after people on skis. Always great climbing with good mates, seeing them try hard and tick projects of their own. 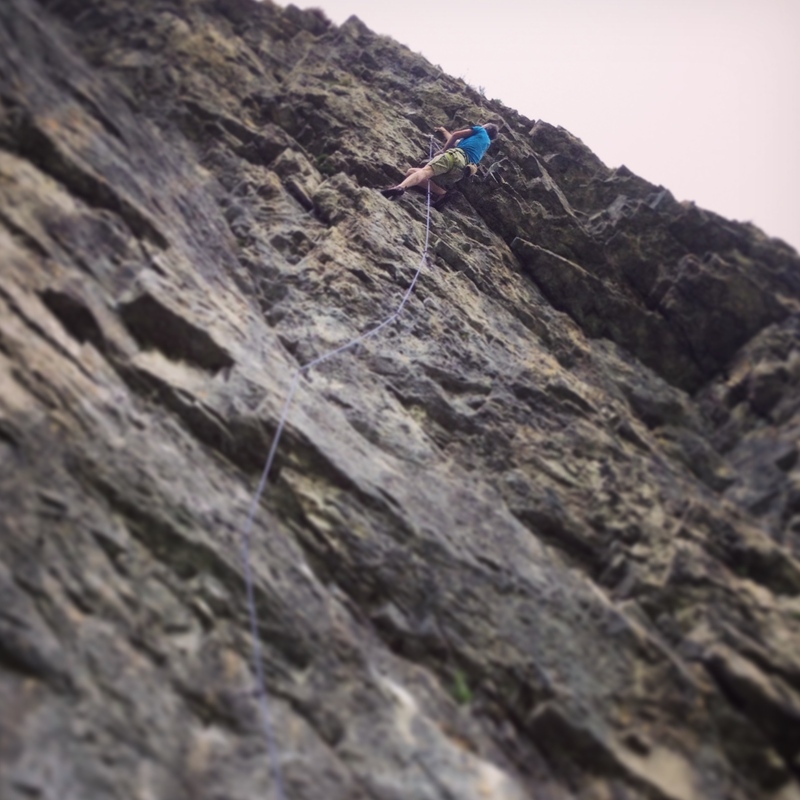 I spent some great days out climbing with Tim Lowe on the Yorkshire limestone crags back in May. Here he is about to get dead angry on the Kilnsey F8a, Dead Calm. 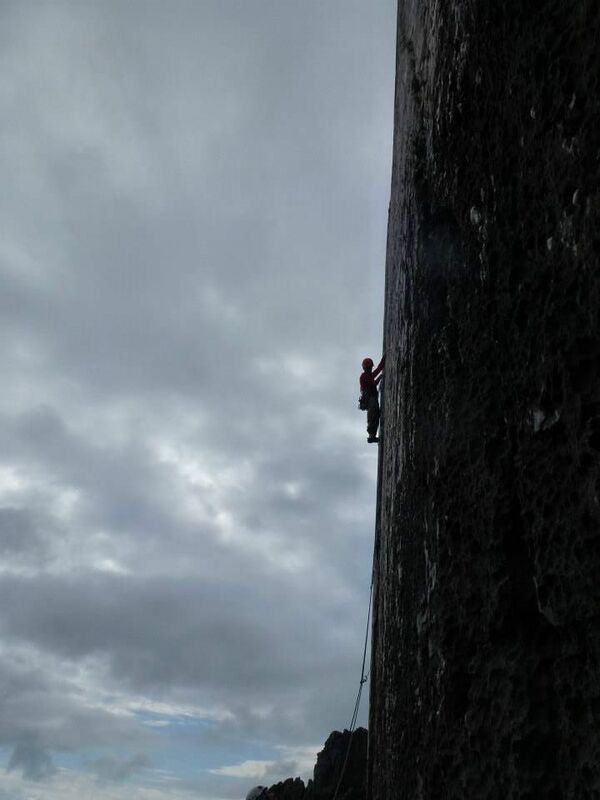 Trad climbing in the UK is awesome. And nowhere is it better than in Pembroke. I spent a few days down here in May with Dave Sharpe, Kasia and a few others, visiting crags we knew and some we didn’t. We had a first trip to North Pembroke which is mega and very different to the southern cliffs. Not many pics from there unfortunately but here is one of me doing battle with the Mother Carey’s Kitchen classic E5, White Heat. A few good days were had in Wales with the Chadwick, who schooled me on Strawberries (good work!). 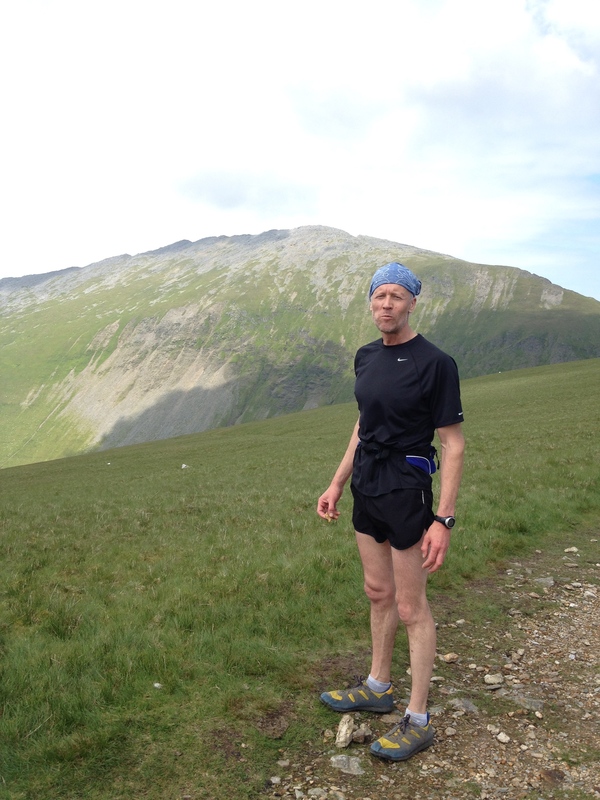 Here he is out running over the Glyders, looking remarkably erm…something or other but fortunately not wearing “those” shorts! July, the month the Tour De France hit Yorkshire. 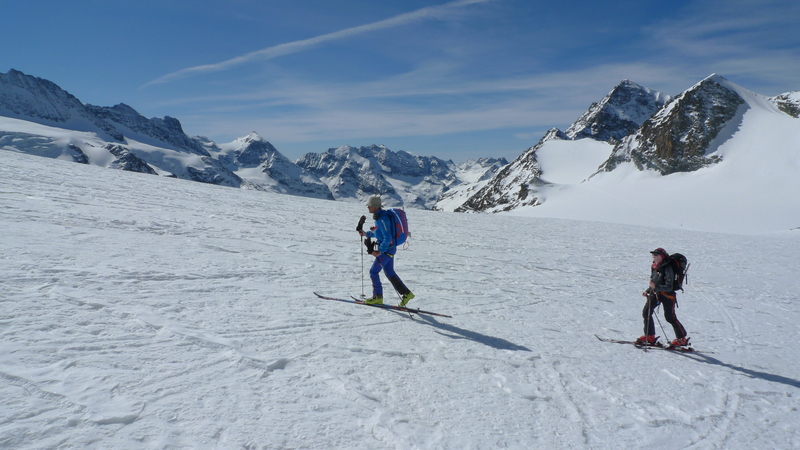 An aborted trip to the alps achieving nothing, a return home then back out for more waiting. It was great to tick a couple of super classic rock routes I’d not done in Gordale Scar with Tim, in between trips. 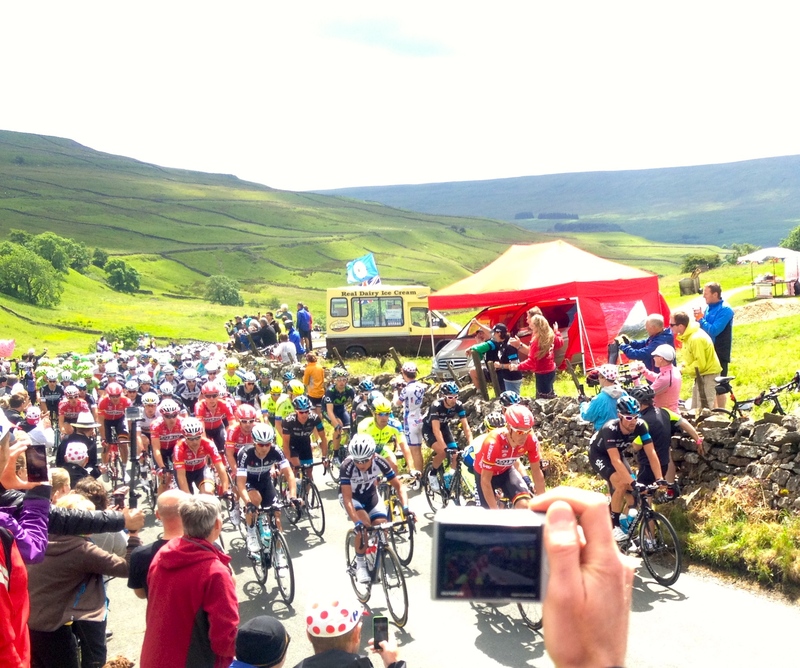 The 2014 Tour De France hit the local roads as cycling fever gripped the people of Yorkshire! August was a busy month. The alpine “Summer” continues, wet and stormy. The 5 routes I need to tick are not coming quite so thick and fast. 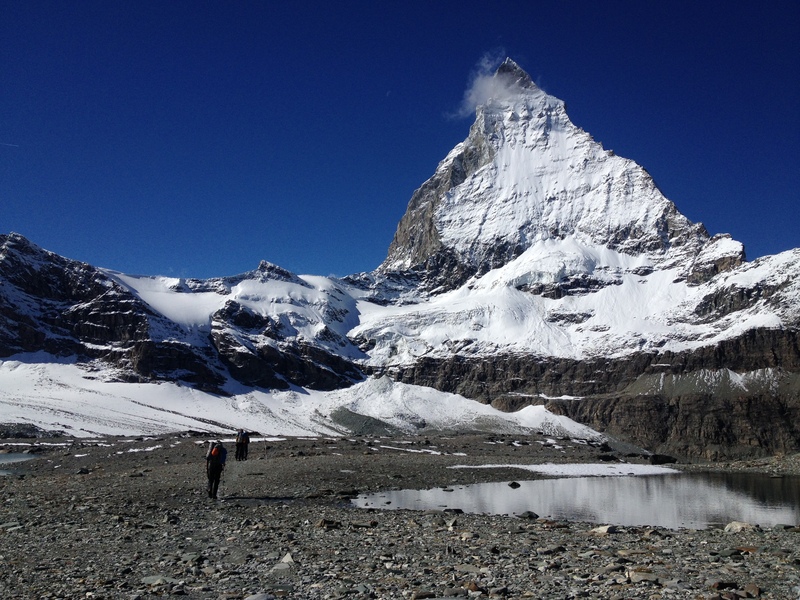 However from the back end of July through to the end of August the Bernese Oberland, Valais and Ecrins areas come up with the goods…eventually. 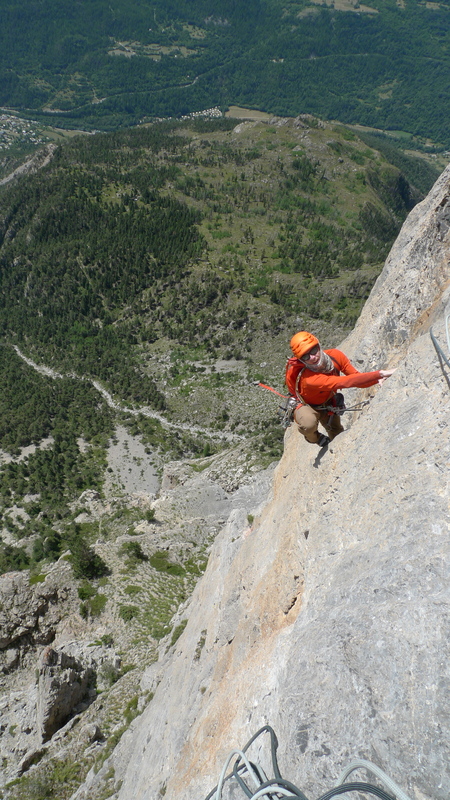 The Ecrins were definitely the saviour and I’m registered on the training scheme. Breathing a sigh of relief I grab some fun rock routes before returning home to work and earn the money to pay for it all. Cheers to Pete, Garry and Kasia for helping me get those last ticks and everybody else who’s supported and encouraged me to go for it. Not the worst place in the world! 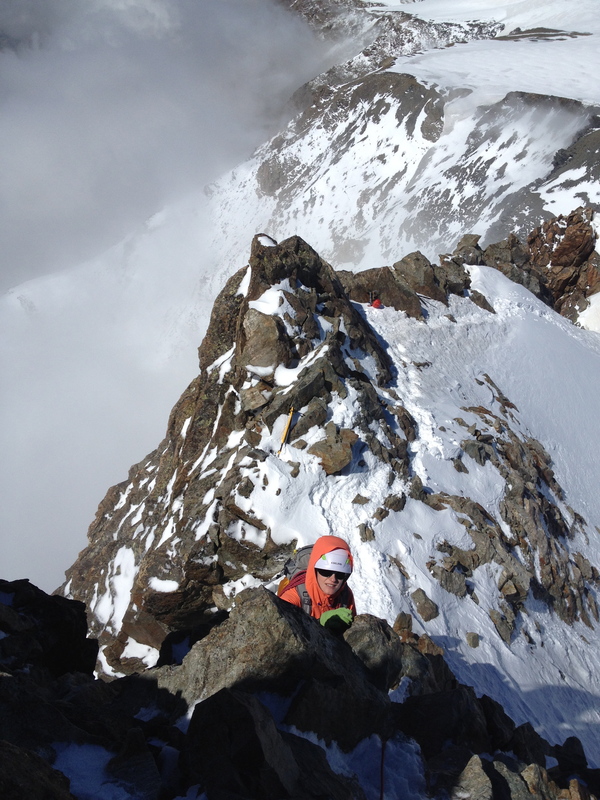 Pete on the NE Ridge of Barre Des Ecrins. 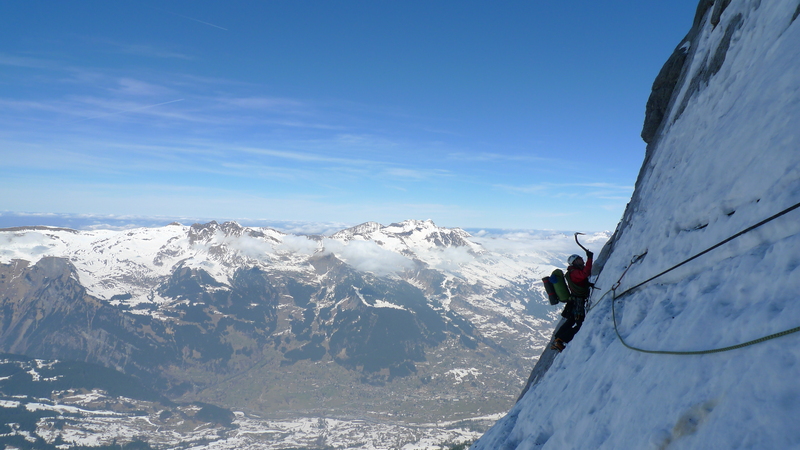 Mountaineering in this area of the French Alps is superb and way quieter than the fleshpots of places like Chamonix. It is also blessed with slightly more settled weather. 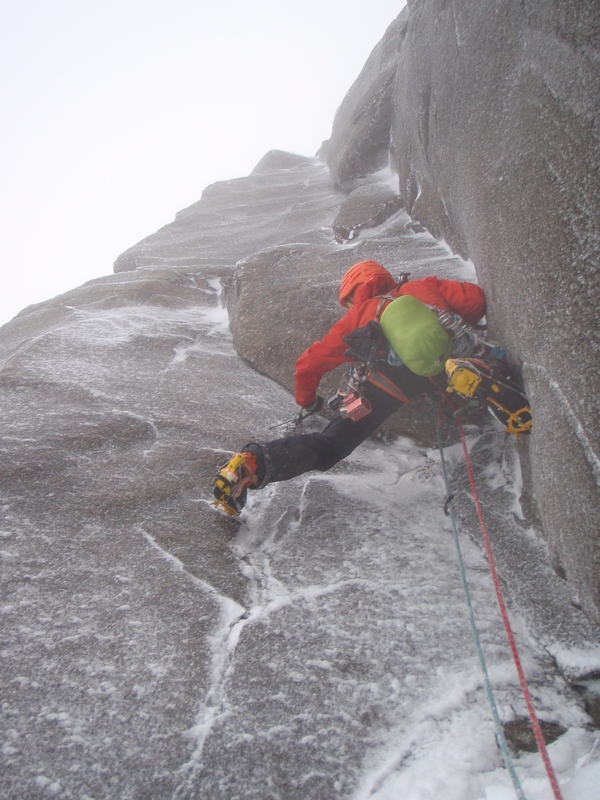 It has belting rock routes like this classic 600m outing on Tete d’Aval, Rank Xerox with pitches up to 7a. 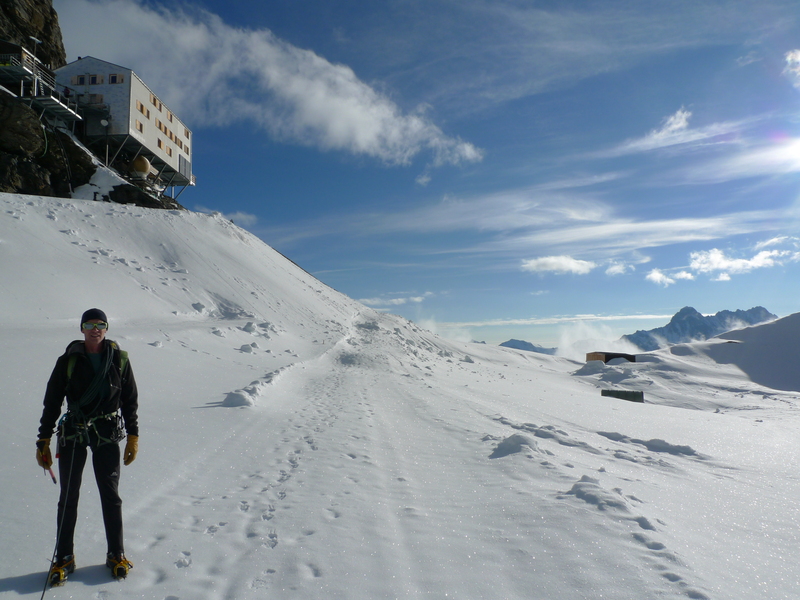 Brilliant and quiet classic alpine terrain. Kasia on Pic Du La Grave. Before heading back to the UK I was lucky to be able to spend some time with this guy. 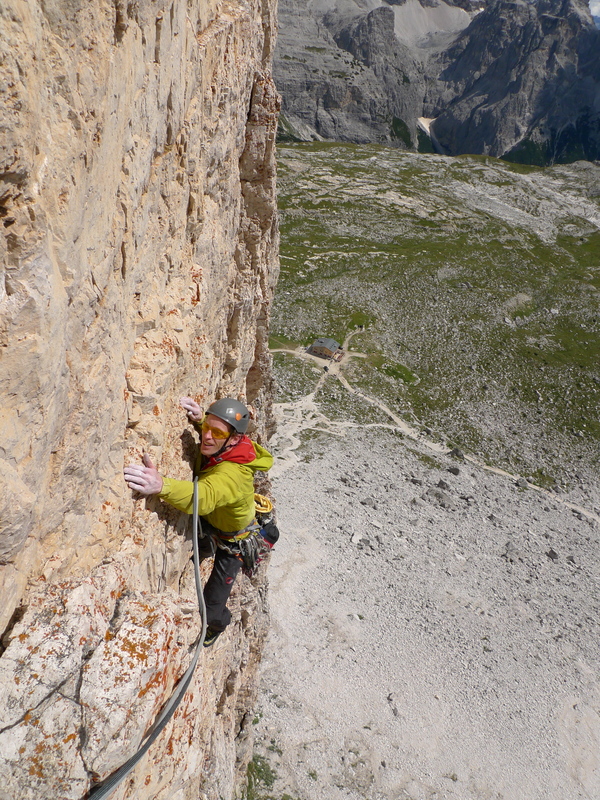 This climb in the Dolomites was on Garry’s 40th birthday. Rock climbing doesn’t get much better. September comes and I arrive in North Wales for the BMG Rock Induction and Foundation course , bricking it that, although I’ve climbed literally 100s of E1’s and harder, I won’t be able to demonstrate that competency on “the day”. Fortunately I get a grip of myself and it’s fine! 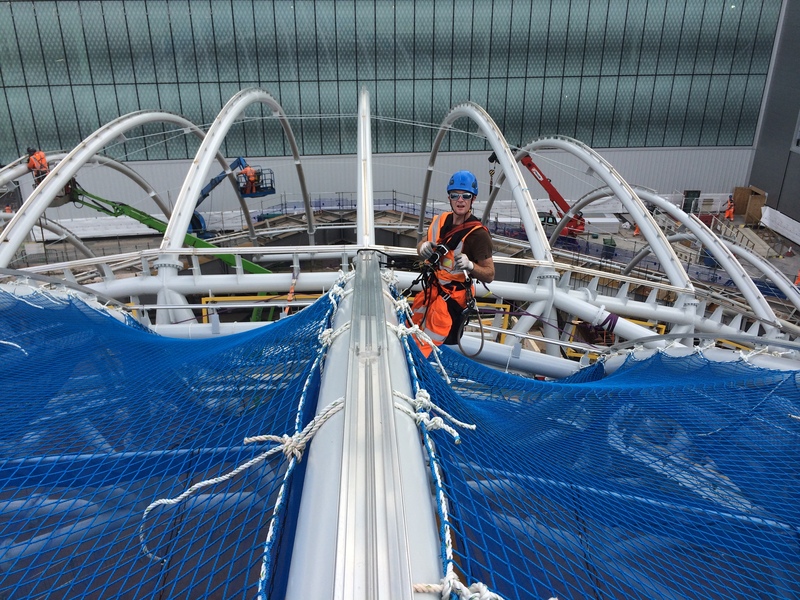 It’s mega to be finally getting going on the scheme and for the learning to commence. Getting on it! 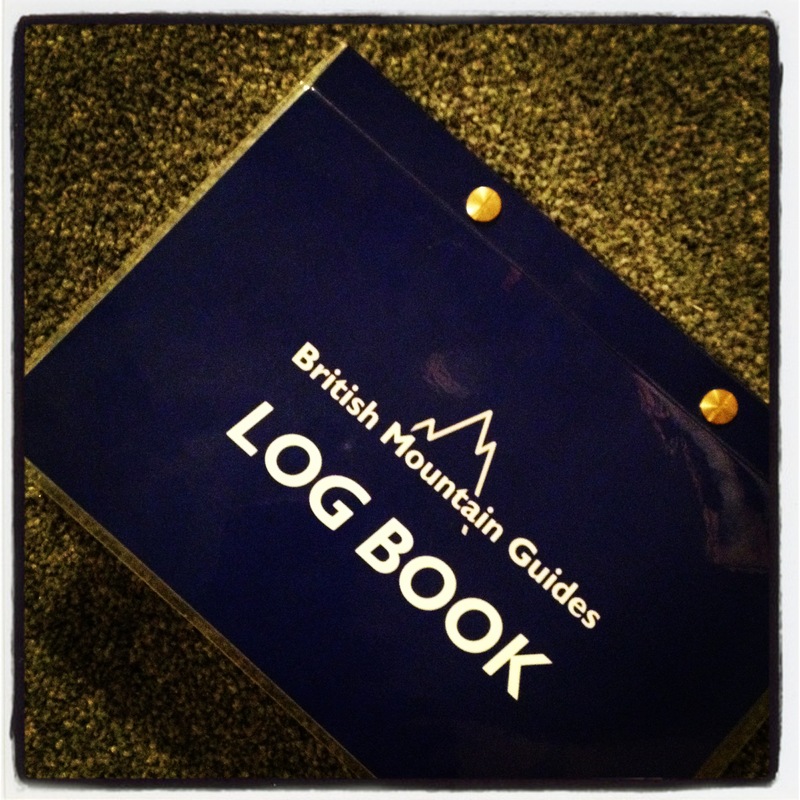 The first hurdle on the BMG training scheme is overcome. Living the dream! 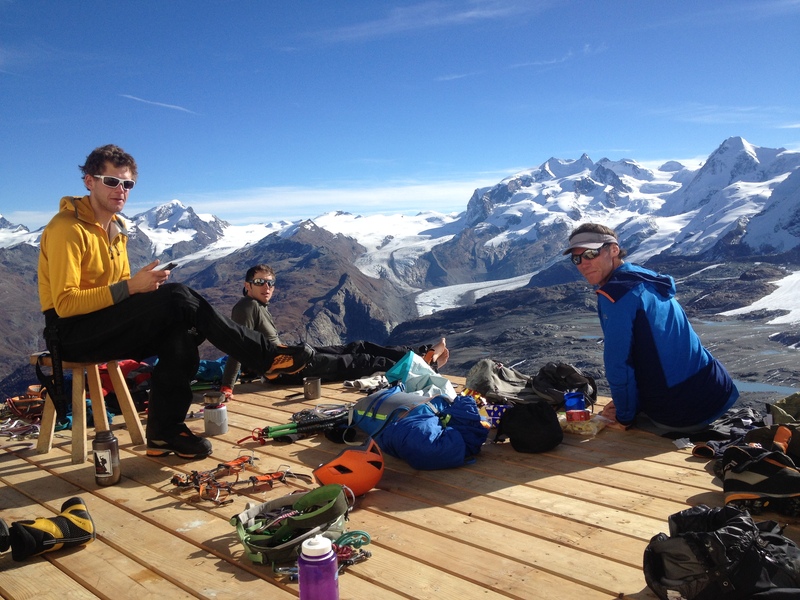 Sorting kit with Dave, Dave and Tim after our descent and just before the start of an epic journey back home to try and get to work on Monday morning! 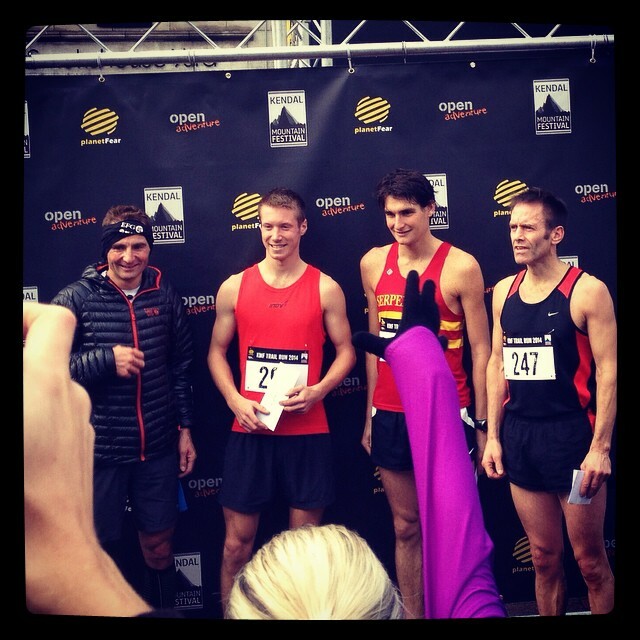 Ueli “Swiss Machine” Steck at Kendal. 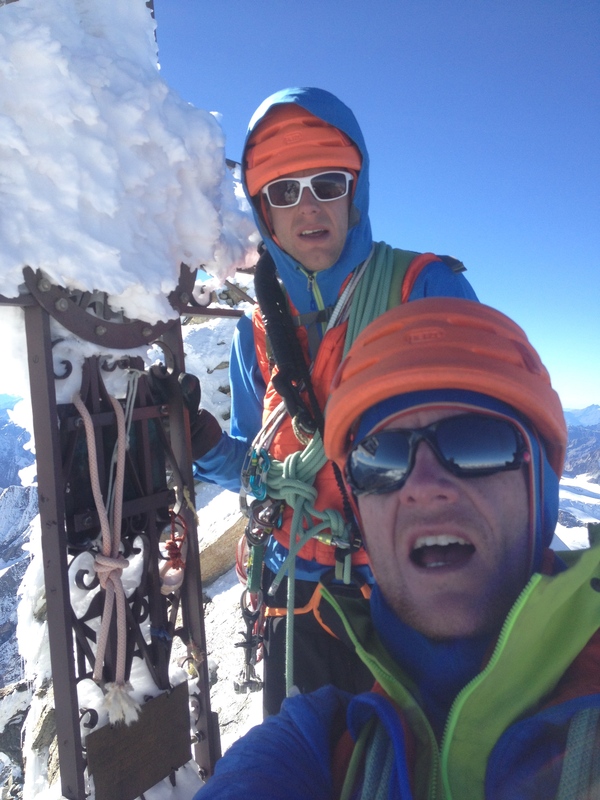 December was busy again, climbing, catching up with mates, a city break, Christmas, family and then ended 2014 as it started, Back in La Grave preparing for the BMG ski induction test. Barcelona! 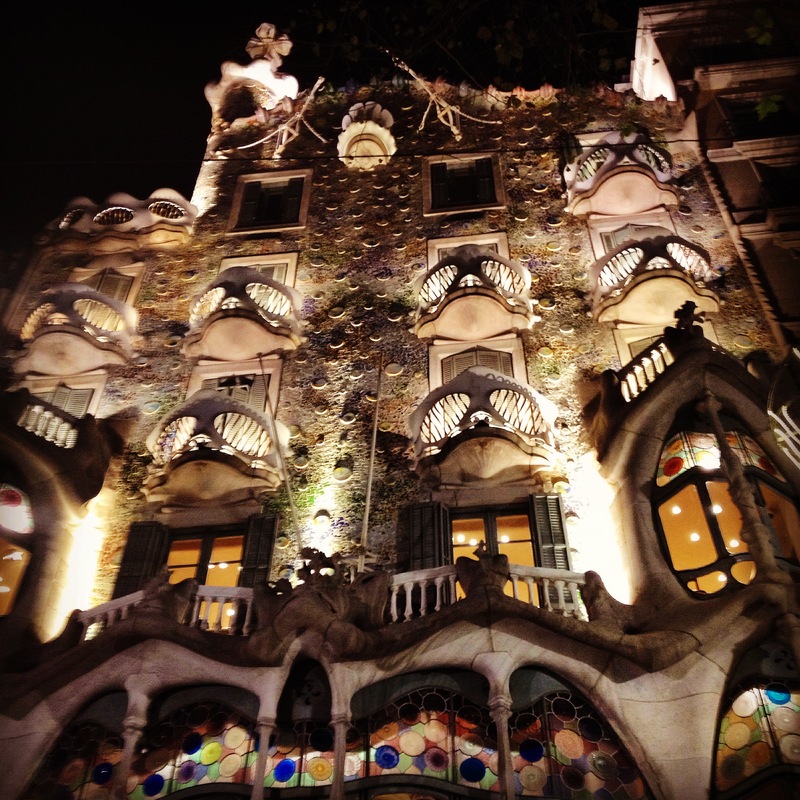 Casa Batllo, Gaudi at his best. 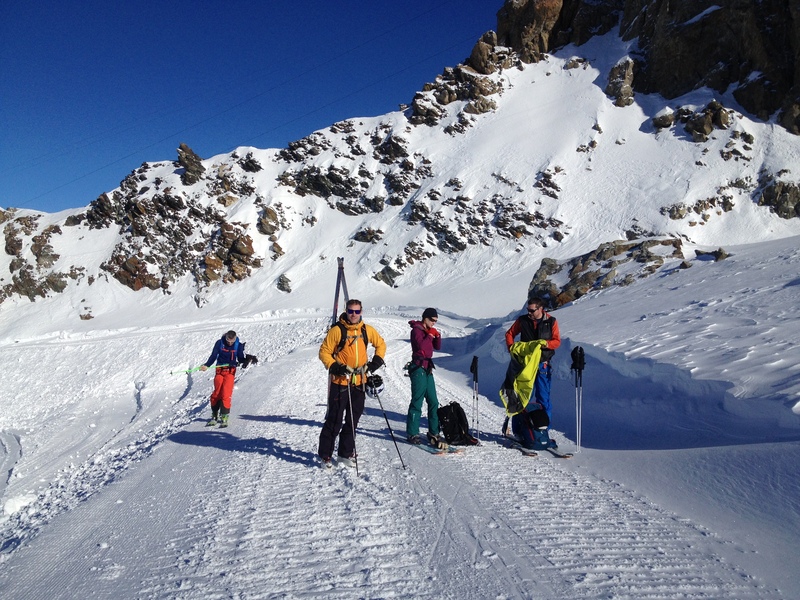 Last day of 2015, on the skis in La Grave…primo! Cheers for being part of it 🙂 See you in 2015 for more of the same!